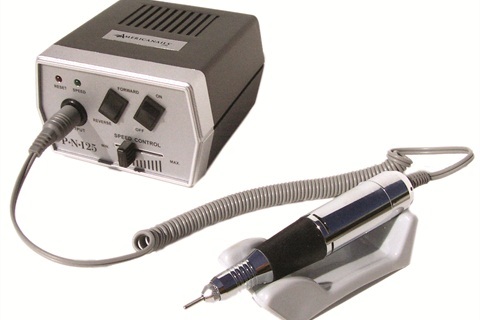 Americanails’ ProFiles PNI25 High Power Electric File is an international bestseller that comes with a one-year, no-hassle warranty and offers a sturdy hand-piece cradle. Atwood Industries’ Bruce Almighty is a micro-motor e-file featuring a hand-piece stand, chuck wrench, foot pedal, and hand-piece holder. 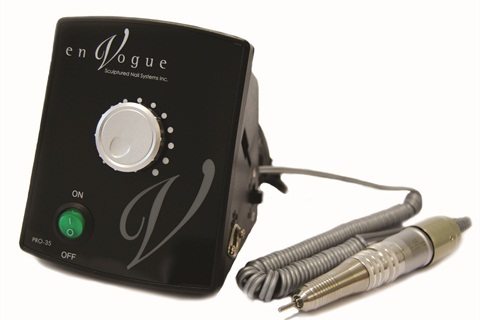 En Vogue’s Pro 35 e-file is well sealed against dust, has no vibration, and offers a quiet and smooth operation with a full one-year warranty. 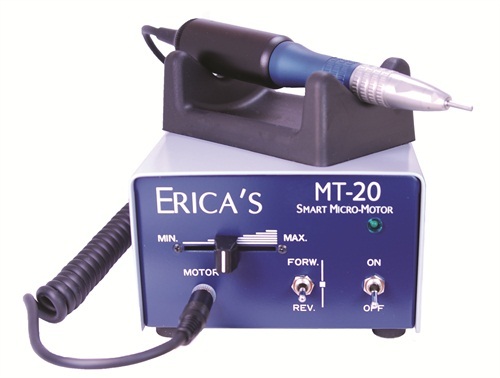 The MT-20 from Erica's ATA's offers no vibration, has a portable option with two different controllers for the nail tech on the go, and has a hand-piece that also works with the Micro Pro BP cordless machine. 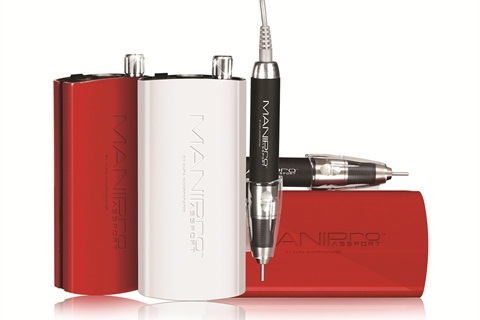 Kupa’s Mani-pro Passport is a complete e-file system boasting ultra-smooth and quiet features. It comes in both red and white for techs to choose from. LCN’s Quick Step File offers a safety stop to guard against too high a rotation speed or too much pressure, making it the perfect file for beginners. 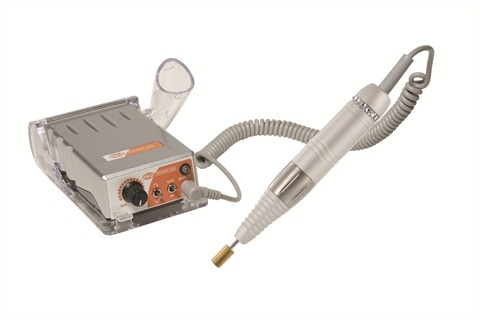 Medicool’s Pro Power 20K limited-edition crystal-encrusted hand-piece has up to 10 hours of battery operating life, can be used for both manicures and pedicures, offers high torque, no vibration, and a full one-year warranty. 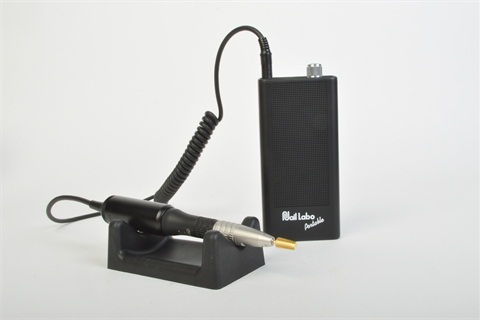 Nail Labo’s NL-X portable electric nail drill is the perfect travel companion for the mobile salon. Any nail technician can bring the same quality service into a client’s home that she might receive in an upscale spa. 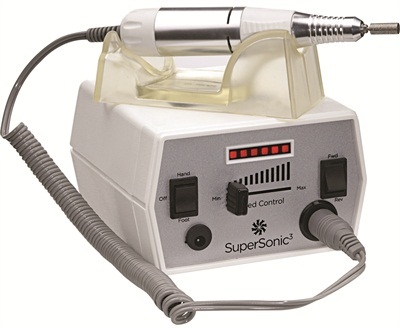 Nail Superstore’s SuperSonic3 electric nail file features a vibration-free, lightweight handle with a quiet motor. 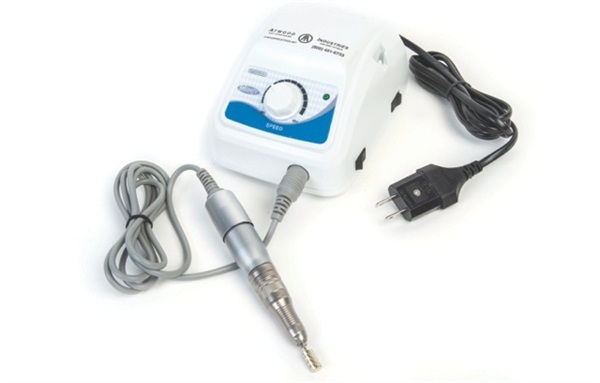 > Variable speed control up to 30,000 RPMs. 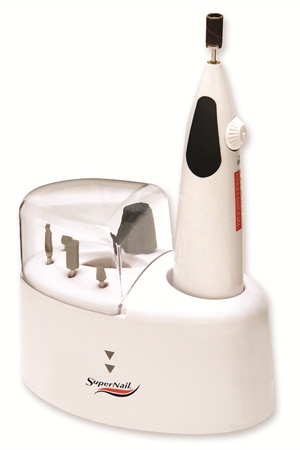 SuperNail’s Ultimate Manicure Machine is designed for natural nails, acrylics, gels, and wraps, and includes one drill and base with five various bits.